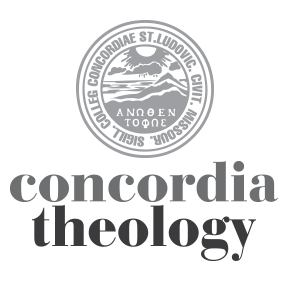 The video files can also be downloaded at Concordia Seminary’s iTunes U site. I listened to about the first three minutes of Dr. Reed Lessing’s sermon on Zechariah 3: 1 but the video/audio stopped playing and went into ‘buffering’. Nothing transpired after that. Is the sermon available with just the ‘audio’ portion? I did not see an audio only option on this one. I would really like to hear the rest of the chapel sermon, if possible. I checked with our IT people, and the videos are working on the server here. So, it may be an issue on your end of things. Try using a different browser, or empty the cache of your browser and try it again. You can also download the videos directly to your computer by clicking on the iTunes U link above, then you’d be able to view them without worrying about an internet connection. Exegetically I think this is a textbook example of preaching the gospel with Old Testament texts. Homoletically I was riveted to the whole message. Thank you for your work, Dr. Lessing. Thanks also to Dr. Schmidt for the on target questions. Oh my! Such knowledge, so thoroughly exegetical while delivering such a message, such eloquent Gospel, almost too much to take in, to process. I must listen again, and then maybe again. Thank you Dr. Lessing. The Seminary will miss you. Your new congregation will rejoice over you. Too bad the chapel was so empty.